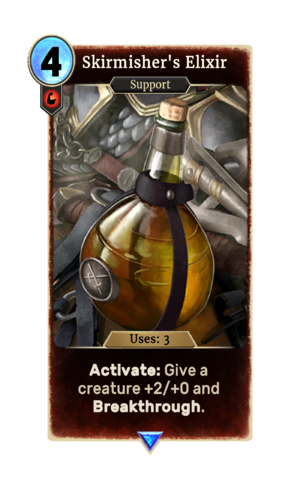 Skirmisher's Elixir is a rare Strength support card. It is part of the Core Set. This card's activation applies the Skirmishing card effect.